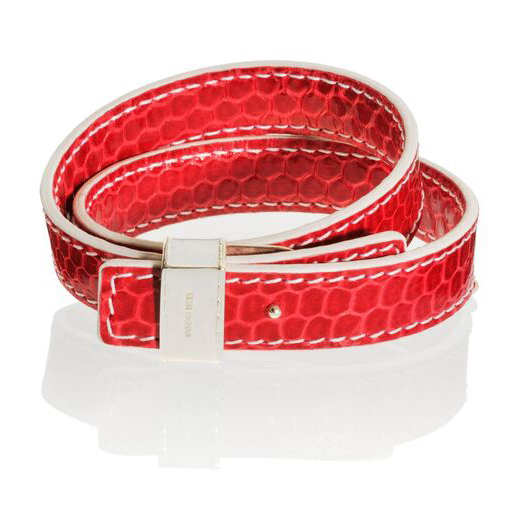 Handmade double-wrap python skin bracelet with a sterling silver toggle that carries the signature MMzS Knot Design. 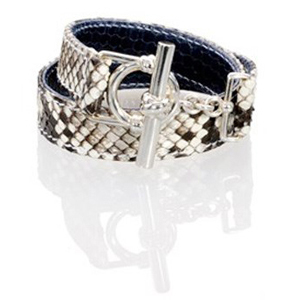 The bracelet has white stitching and is lined with navy blue sea snake skin. 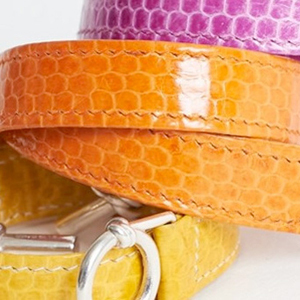 Please note that the python skin is a natural product and each bracelet has a unique pattern. 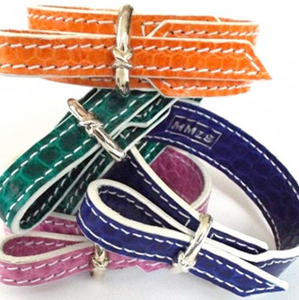 The bracelet will arrive in a small black box with ‘MMzS’ ribbon.